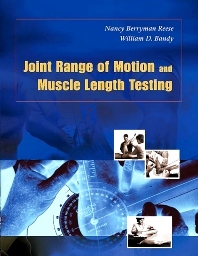 This practical guide provides explanations of the techniques for measuring both joint range of motion and muscle length testing. In addition to the comprehensive coverage of the measurement techniques, this text provides valuable information on measuring norms and a critical review on the reliability of specific tests. It demonstrates the use of the goniometer, inclinometer, and tape measure for the examination of the upper and lower extremities, spine, and temporomandibular joint. Readers will find the most complete information available to date on measurement of joint ROM of the spine, as well as muscle length of the upper and lower extremities.